One might be forgiven for thinking that the pressure was easing off on judicial diversity, at least for a while. Following Lord Neuberger’s retirement, Lady Hale is now President of the UK Supreme Court, although she will not be sworn in until October, which is the same month as Mr Justice Singh becomes the first Court of Appeal BAME judge and Lady Black will double the number of women on the Supreme Court. There is, in addition, a sprinkling of diversity amongst the 13 new appointments to the High Court announced over the last month: four women were appointed, and one man from a BAME background, with two of the new intake the first tribunal judges to be elevated to the High Court. Five of 21 newly appointed Deputy High Court Judges initially qualified as solicitors, and ‘several’, we are told, were the first in their families to go to university. Behind these figures there is a different and more complicated story. The sudden ‘surge’ in diverse appointments has come during a ‘serious recruitment crisis’, according to the Chair of the Judicial Appointments Commission (‘JAC’). In his annual report, the soon-to-retire Lord Chief Justice (‘LCJ’) Lord Thomas referred to ‘significant difficulties’ in judicial recruitment. Those tasked with making judicial appointments face a double whammy: there is purportedly an absence of ‘suitably qualified’ candidates (read: leading QCs in the traditional mould?) wanting to fill vacancies in the senior courts at the same time as the morale of sitting judges is at – or near to – an all time low. The LCJ suggested that there might be recruitment difficulties for lower level roles as well. Nor does any of this show signs of abating. The latest Judicial Attitudes Survey suggests that just over half of all salaried judges (and 47% of judges in the High Court) are either considering leaving the bench over the next five years or are undecided about whether to leave. This includes 144 women judges and almost half of the BAME judges who participated in the survey. On top of this, a significant minority (43%) either would not encourage people to apply to be judges or were unsure whether they would do so. There are many explanations for this state of affairs as well as multiple accounts of who is at fault. But what of perhaps the central actor in the appointments process in England and Wales: the JAC? As the Lords Constitution Committee prepares a follow up report to its 2012 report on Judicial Appointments, and with six new Commissioners starting work at the JAC, we offer some brief reflections on what the JAC has done right during its first decade and where it can do better in its second decade. The JAC began its work in April 2006. Its first decade was tumultuous at times. Some of this was of its own making, and some of it was not. Its early years were distinguished by tensions at one point or another with almost all of its main stakeholders (judges, lawyers, officials at the Ministry of Justice and the occasional Lord Chancellor). The JAC weathered its early storms in part by doing more with less: it introduced quicker, more efficient and more candidate-focused selection processes, and over its first decade years did this on a smaller budget and with far fewer staff. Today, the JAC is a small and inexpensive public body that secures reasonable value for money. The JAC entered its second decade on a much stronger institutional and reputational footing. Key to this is the fact that almost all of its stakeholders now accept that a recruitment process based around an independent recommending body is an integral part of our judicial system. Yet for all of its success in becoming embedded in the landscape of the judicial system, the JAC has had much less success in transforming the composition of the judiciary itself. For sure, assessments of the JAC’s limited effectiveness must acknowledge that systemic factors outside of its control affect the scope to make progress on diversity (e.g. wider patterns of recruitment and progression within the legal professions). It is also important to acknowledge that the JAC itself operates within a statutory framework that does not identify diversity as an overriding goal. Yet, notwithstanding these wider factors, the JAC has at times been much too timid in pushing for change. At various points during its short history, the JAC has been: complicit in hamstringing the ‘equal merit’ provision; reluctant to downgrade the importance attached to judicial references; and overly persuaded by statutorily required consultations with senior judges. Nor through much of its history has the JAC been able to resist the imposition (by the Lord Chancellor with the support of the LCJ) of non-statutory selection criteria that tend to disadvantage candidates from non-traditional backgrounds (criteria, for example, requiring successful candidates to have fee-paid experience in a part-time judicial role; something that might not be practicable for many types of legal practice, such as solicitors in city firms or high-street practices). So what is to be done? As we see it, there are four priorities for the JAC during its second decade. First, the JAC must do more to ensure that the judiciary is not merely paying lip service to diversity but actually pursues policies that will lead to faster change. Throughout its short life the JAC has had many battles with the judiciary, with some judges often (albeit not always) successful in stymieing the JAC’s efforts to adopt more progressive policies on diversity. To be fair, there are signs increasing numbers of senior judges are beginning to recognise the scale of the diversity deficit. The Judicial Diversity Committee of the Judges’ Council, for example, has embarked on important work to support female, BAME candidates and those from less socially advantaged backgrounds through the appointment process (by running work shadowing schemes, mentoring schemes and pre-application workshops). However, some (but by no means all) judges still cling to traditional understandings of ‘merit’ (which place a premium on advocacy skills, experience at the bar and experience in a part-time fee-paid judicial role). For much of its first decade the JAC failed to do enough to challenge these out-of-date understandings. It must do more to push for appointments made on the basis of potential for excellence in judicial office. Similarly, it must continue to encourage judges to recognise that the skills required for all levels of judicial office are not limited to the technical legal and advocacy skills associated with excellence at the bar, but also include communication, management and leadership skills especially relevant for a successful career as a solicitor. The JAC should therefore resist the judiciary’s insistence on fee-paid experience since this not only favours long-serving barristers, but reinforces traditional understandings of merit as well. In this respect, it is welcome that a similar requirement was relaxed for the recent recruitment competition for the High Court. Also welcome is the removal in many competitions over the past year of the requirement for candidates to have experience in a particular jurisdiction (e.g. criminal law or family law), with post-appointment training now provided by the Judicial College where necessary (e.g. where a family practitioner is appointed to sit in criminal cases). Second, the JAC should take more ‘ownership’ of the selection process for senior appointments. Statute specifies the membership of the panels that recommend candidates for appointment to the Court of Appeal and leadership positions such as Heads of Division and the LCJ. Strictly speaking, these panels are ‘committees’ of the JAC, with a composition that includes (in addition to lay commissioners from the JAC) senior judges who are not members of the JAC. The mixed membership of these ad hoc selection panels is problematic. It has at times encouraged the JAC to adopt a rather detached attitude towards, and diluted responsibility for, senior selections. Some (but certainly not all) lay commissioners who have sat on senior selection panels have expressed concern in private about their limited ability to challenge the judicial panellists (about the job requirements for a particular judicial office and about the suitability of a given candidate for a particular role). As a result, on some accounts, the role of lay panellists on senior selection panels is limited to merely corroborating the judicial panellists’ views. This not only undermines the legitimacy of senior selections but also makes it more likely there will be little change in the type of candidates who succeed in competitions for senior posts. As we see it, there is no good rationale for having senior selections lie outside the JAC’s normal processes, and no good reason to include judges who are not members of the JAC on the selection panels. The only reason for the current arrangement is to give senior judges greater say—and perhaps the decisive say—in the selection of their colleagues. However, as Alan and Chris Paterson noted back in 2012, and as others have also subsequently argued, the problem with the current arrangement is too much judicial influence on senior selections, not too little. Third, the JAC should continue to scrutinize and improve its own processes. It should review the type of diversity data it collects and adopt a proactive approach to using a wide range of such data in its equal merit policy. There should also be greater transparency about the short-listing and selection day processes, particularly the role and identity of the (non-JAC) lay and judicial panellists who perform much of the work in lower level recruitment exercises. The JAC should also seek to facilitate the impact of the ‘equal merit’ provision, one of the few diversity tools that statute confers on the JAC. At the same time, the JAC must remain vigilant that internal reviews of its processes could be used as an excuse (by some elements within the judiciary) to reverse important progress that the JAC has made in formalizing selection processes, especially for senior vacancies. Finally, as hinted in each of the three points above, the JAC should supply stronger and more forceful leadership on diversity. It should provide active and strategic leadership on the need for and design of fundamental and far-reaching changes to the selection process. Its leadership should extend more broadly to encompass judicial working conditions, training, mentoring and appraisal as well. The JAC should be forward-thinking in its interpretation of the policies and changes already introduced (for example, around the availability and publication of part-time and flexible working). It should be provocative in lobbying for new policies (including changes to historical relics, such as the requirement to go on circuit, and, where these limit the applicant pool, statutory and non-statutory minimum criteria for appointment). Too often the JAC’s need to placate its many stakeholders has led it to offer only limited leadership on these sorts of issues. No doubt those on the inside of the JAC would say that they have been endeavouring to do each of the points listed above. The same insiders might also add that it is difficult for the JAC to exhibited very strong and proactive leadership on diversity given the narrow constitutional space that it occupies, with the constant need to navigate the concerns and interests of the senior judiciary, the Ministry of Justice and the different branches of the legal profession. Perhaps so, but the JAC needs to be bolder. It should have greater confidence in its ability to withstand and contest the preoccupations of ministers, a self-interested legal profession and an embattled judiciary. After the various ups and downs of its first decade or so, the JAC has acquired some political ‘capital’. The JAC should begin to spend it. 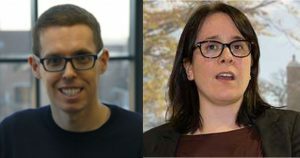 Graham Gee is Professor of Public Law at the University of Sheffield and Erika Rackley is Professor of Law at the University of Birmingham. They are the co-editors of Debating Judicial Appointments in an Age of Diversity, published earlier this month by Routledge. It is the first book focused on assessing the record of the JAC and the future challenges confronting it. The book includes contributions from current and retired judges, current and former JAC commissioners, retired civil servants, prominent practitioners and leading academics from Australia, Canada, South Africa and the UK. If 50% of the population are one legged black lesbians but nobody in the legal profession is one: what is the “correct” percentage for the judiciary? Is not the percentage of women in the judiciary double that in the profession on an age and experience basis?! How does the percentage of blacks and other minorities in the judiciary compare to their percentage of suitably qualified candidates in the profession? If the genders/races/etc are all equal, what difference does it make?! Perhaps the most important part of this blog is that which Graham doesn’t comment on. Why do so many senior judges want to leave the profession? Anecdotally, one has heard of increased pressure – too many cases, too much need to cut corners and inefficient ITV. But we do need to know why people want to leave a relatively prestigious and attractive job. This entry was posted on September 27, 2017 by Constitutional Law Group in Judiciary and tagged Judicial Appointments Commission, Judicial Diversity.